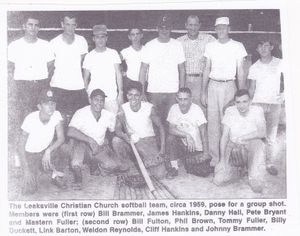 If you have old photos that relate to Leaksville Christian Church, we would love you to share them with us. You can reach us through our Contact Us page! 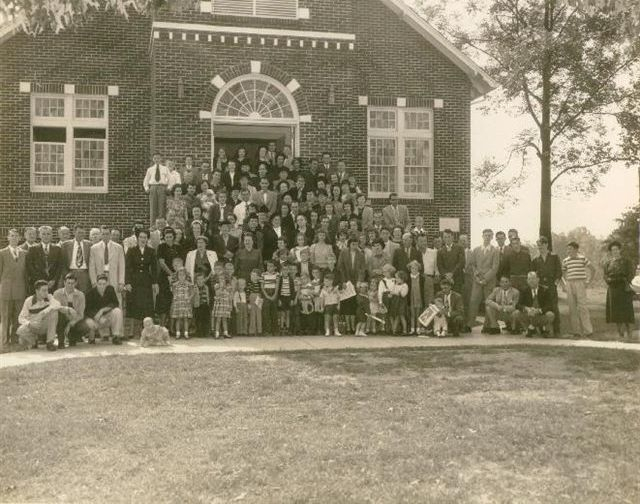 Likely late 40's or early 50's. Too many to list, but see how many you recognize. Front Row from Left to Right are: Mrs. Judd Cox, Mrs. George Self (Hallie), Mrs. Hopper, Mrs. Foley & Mrs. George Fulp (Goldie). 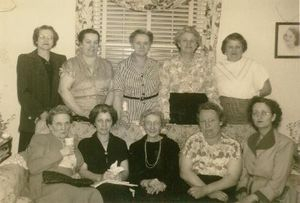 Back Row from Left to Right are: Mrs. Ed Adkins (Velma), Mrs. Ashley Greer, Mrs. Grover Smith (Belle) & Mrs. Hill.